The past couple of years I have become a huge Mary Kay fan and so I quickly snapped up all of the products from their new collection when it was recently released. 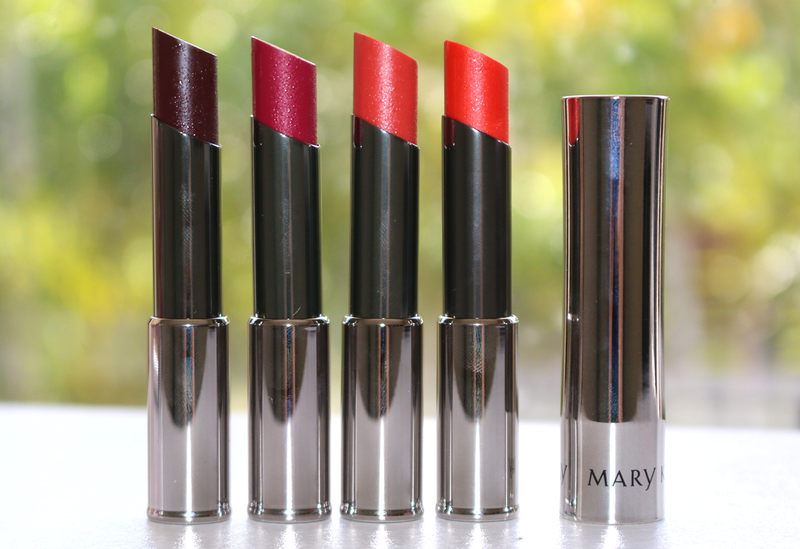 The new collection includes four cream eye colours (of which are an entirely new product to Mary Kay), four True Dimensions lipsticks and four new NouriShine Plus Lipglosses. Perfect for a creaseless colour base with a selection of unique colours, there's something for every occasion. 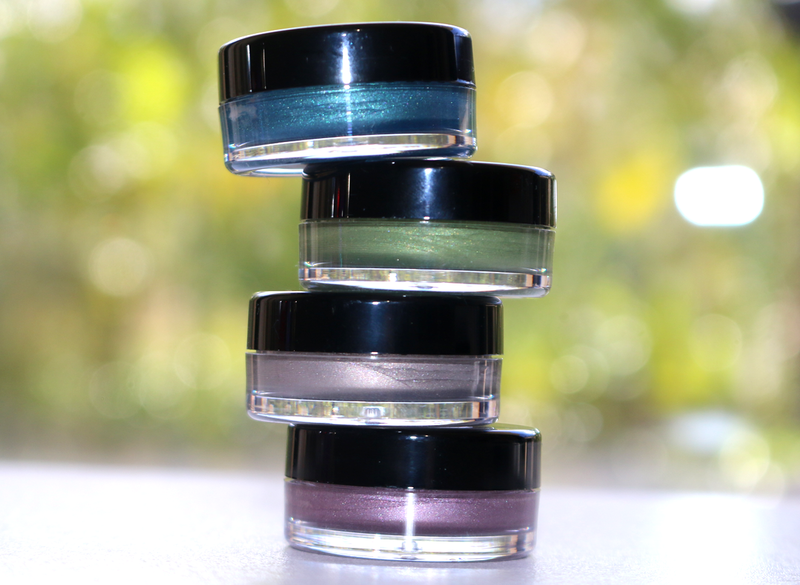 The creamy consistency provides the perfect tacky base for an eyeshadow colour to be put on top. The creams can either enhance the shadow you place on top by matching the colours or add a different dimension by mixing shades. - Coastal Blue is a deep galaxy blue with intense turquoise sparkles throughout. - Meadow Grass is a mildew forest green shade with a gold swirl. - Glacier Grey is a gunmetal silver with an icy sparkle. - Violet Storm is a beautiful deep toned purple. The packaging is a sleek reflective case where the tube pops out when you press the button on the top, practical and chic. At under $30 each, the price point is very reasonable and makes it affordable to stock up on some shades for the new season. - Berry A La Mode is an extremely intriguing vampy plum shade with a beautiful shimmer. - Sassy Fuchsia is a deep cranberry red with a silver sparkle. - Tangerine Pop is a fresh coral with an iridescent peach shimmer. - Citrus Flirt is a bold and bright orange, perfect for making a statement in Summer. These creamy glosses are perfect to top off any lipstick (such as the NouriShine Plus lipsticks mentioned above) or to wear on their own. The new colour selection features two red shades and two pink tones. All of which have a beautiful smooth consistency that makes them comfortable to wear. - Pink Luster is a stunning medium dusty pink with a baby pink glitter. - Rock and Red is a candy coral and deep ruby red. - Berry Tart﻿ is a sparkly purple light plum colour. I would definitely recommend checking out this new Mary Kay collection and giving some of these products a go. You won't be disappointed with the amazing colour ranges and beautifully crafted products.